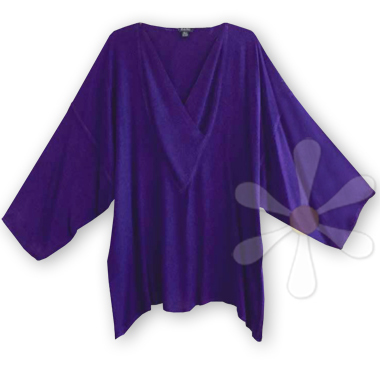 A soft and generous cut, this is is the newest star in our EVERYWEAR� collection! A flattering 'V' is filled with extra fabric to create a soft, draping collar, a signature of our designed-for-comfort garments, patterned to fit so many different figures! Like all of our garments, it's indescribably soft and cozy, impeccably constructed, blissfully breathable.